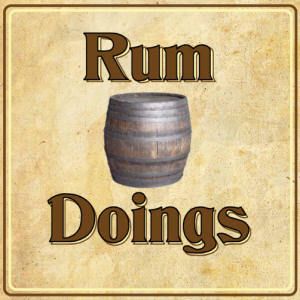 In our 239th ever Rum Doings, what will all the terrorists do now there’s been some singing? Your eyes do not deceive you. Nick has finally decided to lower himself to the level of talking to the little people once more. We return! Talk this week is of IVF and politics, and that’s pretty much it. But it’s good. Oh boy is it good. Hey, thanks for another great podcast. More than one of my English friends have told me they are voting Labour this election, for the first time ever. In part because of their dismay with May (if you pardon my turn of phrase), and in part because they believe Corbyn to be the lesser of two evils (none apparently considering the LibDems). Assuming for a moment that Labour would win (which I understand is unlikely), who do they have, with foreign policy experience, who could take over the Brexit negotiations? Ed Milliband? As I understand, he’s of a more centrist persuasion, and doesn’t belong to Corbyns more old-School faction of Labour. Glad to see I didn’t accidentally unsubscribe from the RSS feed. Have paused halfway through the episode for a pedantic correction: I believe it was the Anglo-Irish Agreement that Corbyn opposed, not the Good Friday Agreement. Or at least, that’s definitely the one that speech in parliament was about. As ever, I imagine this will be pointed out the second I unpause the podcast. What’s wrong with Keir Starmer for Brexit? @David I just mentioned Ed Milliband because he used to be foreign secretary (in Gordon Browns government). I was just interested in knowing who would have necessary foreign policy experience to undertake the task. Your comment about May making herself more sympathetic reminds me of the time the Progressive Conservatives here ran an ad that *seemed* to highlight Jean Chretien’s Bell’s palsy. The Tories were reduced to two seats on election night. Welcome back chaps. Kept me company whilst I was trimming our trees. Hopefully not so long a wait until we have a post-election episode.